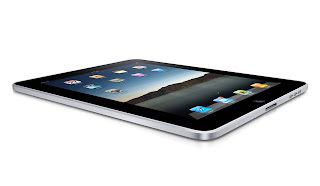 The long-awaited release of Apple's new tablet device, dubbed the iPad, arrived today. The iPad looks like a giant iPhone and seems likely to me to sell like bananas! Nobody on the Street was looking for a sub-$500 price with expectations generally around the $1,000 level. This price point makes the iPad a very reasonable alternative to a desktop PC with great mobile capabilities. This is a game-changer and I reiterate my bullishness on the shares as my analysis did not include the upside earnings power of yet another great device. There are some risks of cannibalization of Apple's core product (iMac accounting for 40% of sales) but I am very excited about the product overall.